Immigration is a major issue in the United States as well as the entire world. The documentation for immigration is becoming more and more detailed and complex as time progresses because the immigration authentication has become directly correlated with safety and security of the country and its people. So now the foreign documents for immigration are also required for authentication and calibration with great specifications. Our immigration document translation services do just that: certified translation, guaranteed to be accepted by the USCIS! The process of submitting foreign documents for international residents and all those who are relevant are now very clear and specified with great detail. This is done to ensure that there is minimal or no mix-up and all the documents are submitted properly and well on time. The type and detail of the translation are also well crafted and the immigration documents that will require a translation or any other kind of verification are also well explained. The international community has an enormous business component with the United States. Many businessmen also have clear and serious need for translation of or into foreign documents so that they can conduct their business internationally without any legal complications and also have successful international trips to enhance their revenues and profits. USA Translate provides immigration document translation services since 1999. We have seen all kinds of legal documents that need to be translated and we know full well how to get these translations perfectly done and see them through. Certified translation services are a day to day need in immigration for all kinds of documents. As we have to deal with these cases on an everyday basis, we have developed many prototypes that are the standard formats to deal with the common cases that we come across. But we still have a wide variety of certificates to deal with that are not so common, such as death certificate, birth certificates, marriage certificates and many others that are in the same vein. Every immigration office and most law offices have a compulsory rule that they only accept certified immigration document translation and will not accept a document otherwise. The process of certification is done by the translation company which translates the document and it consists of a signed statement that the translation is correct to the best abilities of the translator. In short, that is what a certified translation is and where it is needed in the United States. Some legal documents also have to be certified, but it depends on a case by case. Certified translation online is a term, according to USA Translate, used for certified documents that are properly processed so as to make them eligible for admission in the court of law and are ordered, prepared and delivered through online portals. These documents are eligible and valid for legal use, are properly notarized and properly authenticated; but they were ordered and delivered through a website of the agency that made the documents. Online translations are important because that is how most certified translations are ordered and delivered. Because most certified translations that are required cannot be made or stamped in the region where they are needed as they have to be certified from the foreign land. Another reason is that the clients don’t have the time to actually come to our office in El Paso and deal with it face to face. It is also more convenient to have the translation ordered from home and have it received by e-mail. And so the culture of certified translations is growing more and more prevalent with time and gaining more ground by the day. Legal documents are going to be presented in a court of law. These documents need to be properly written following strict outlines and procedures and so it is important that the legal documents are translated by a special type of translator who is competent in providing legal translation services from one language to another. These legal translators have years of experience in translating such complex documents and know the rules. Legal documents are usually certified, but there are cases where notarized translation is needed. 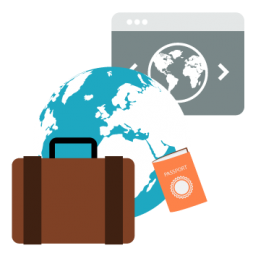 Immigration document translation services are certified translations and as such, the translated text comes with a certificate which states that the translator is experienced in both languages and can translate successfully. This certificate is required by all the immigration offices in the United States. With notarized, the translation and the certification are presented to a notary officer and asking him to certify to the credibility of the document. The notary will notarize the certification, and by this will authenticate the validity of the document. Visiting a country means a lot of things, watching different places, meeting new people, exploring cultures, a whole new experience, isn’t it? 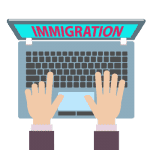 But the most important aspect is the immigration procedure, and even more significant is choosing the best service for translation for immigration. In our world where there are countless possibilities, finding a translation service isn’t as hard as it was in the past. 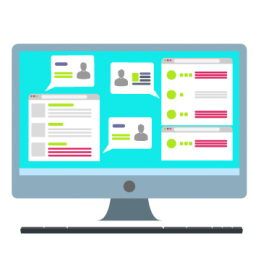 Particularly, the advent of technology and the rule of the internet give access to a translation company in just a few clicks. 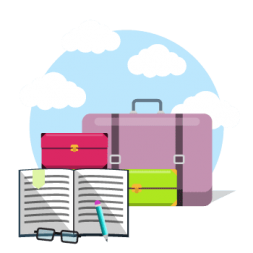 However, there are things to be assured when you are leaving a country and need translation for immigration documents. You just can’t jeopardize your visa, plans, money, and future over a translation service which isn’t certified and has no reliable translators to handle such requests. 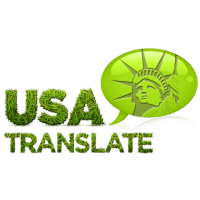 This is why, at USA Translate, we guarantee you all kinds of translations including translation for immigration, no matter what your requirements are and where you intend to go. We translate birth certificates, marriage and divorce certificates, diplomas, medical documents and everything in between. We offer the most competitive rates, free, quick quotes and for the convenience of our clients, we are available 24/7. If you are planning to immigrate to the US, then we have got you covered for all your translation needs. USA Translate provides immigration document translation services at the lowest price you’ll find in US: only $20 per page for pages up to 200 words (most personal documents are under 200 words). We do not have any rush or weekend extra rates, our turnaround time is 24 hours or less and we guarantee that our translations will be accepted by any USCIS office. The document that you are getting translated has to be translated in full and it is required that all the content is translated literally and not even once metaphorically. So, all the punctuation marks and prepositions will also be translated literally. If the translator runs into a portion that he finds unreadable he should say so in the translation. 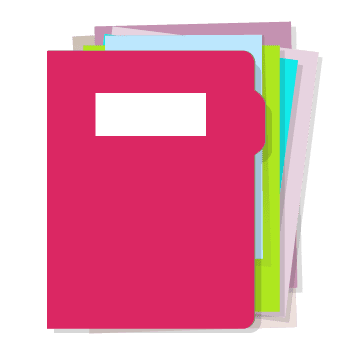 Such texts will not be copy-pasted from the original file just as they are for the viewer to decipher themselves because the officer dealing with your case will have your documents in the original language and can easily check such portions. The significance of accuracy in translating legal documents cannot be stressed enough. These documents are of paramount importance in deciding the fate of the applicant and if the meaning walks against the client then there is no point in translating at all. They have to be translated word for word, keeping their meaning intact. Notarization is not required by the USCIS officially but we would like you to consult your immigration officer about this. In some cases notarized translation may be required for certain documents. In this case we can also help you: we will translate and notarize the translation and send it to you by regular mail. 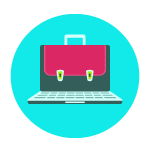 Extracts are submitted when the original document is too long to be attached to the final document and the original document cannot be expected to be completely read by the reader. In these situations, small portions of the document are translated. These small portions are significant because they are there to convey the main idea of the document and make the case for the applicant. So these excerpts have to be chosen carefully and evaluated for whether they are good for being placed in the document in the right location. Normal documents are translated in full so no extracts will be needed. Getting an RFE can hold the processing of your request because your request will remain on hold until you submit USCIS with the additional evidence they have asked. If the other evidence, in this case, a complete certified immigration document translation, is not received by the date written on the RFE, your case could be denied. The immigration process is a difficult affair that can have you waiting months or even years before you get your residency, citizenship or any other immigration benefit you have applied for. It is essential that you avoid additional delays related to insignificant issues that could have been avoided altogether. The best way to avoid all the consequences of using bad translation of immigration documents is to hire our experts as your experienced language service provider with certified translations. USA Translate is familiar with immigration cases and will make sure that your documents are acceptable to USCIS.